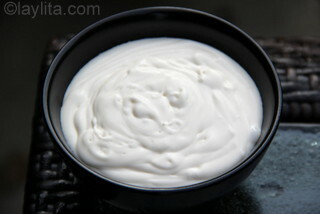 Crème fraîche, which translates literally as fresh cream, is the French version of sour cream, but richer and not as sour. It used to be very hard to find in the US, but is becoming more of mainstream ingredient and you can usually find it at most grocery stores. I love using this type of cream to make sauces, both sweet and savory, to go with different dishes (from soups to tarts) or to use as dips. 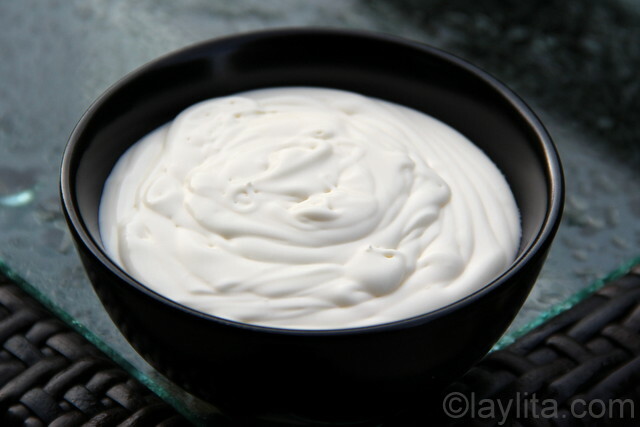 This honey crème fraîche sauce is very simple, just some honey and the cream, but is so good with sweet desserts like tarts, pies and sweet empanadas. 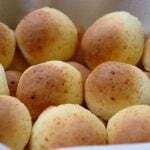 You can adjust the sweetness based on you preference, I tend to like it a little bit less sweet, especially as the tanginess provides a balance for desserts that are very sweet. This sweet cream sauce can also be used as a dip for fresh fruit, or on top of pancakes or waffles. 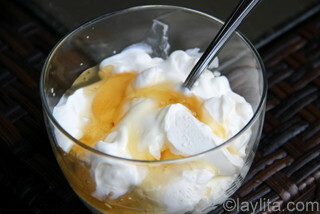 Mix the crème fraîche and the honey together using a spoon until well mixed. I use creme fraiche often and now you gave me another idea…..